Combining a unique design with advanced energy-saving features, the Delta D is stylish and eco-conscious home heating solution. Using its integrated WiFi capability, the D Series can be connected to the Rointe app for convenient, on demand access to your heating, without the need for additional gateway devices. This 770w version is ideal for most rooms in your home. 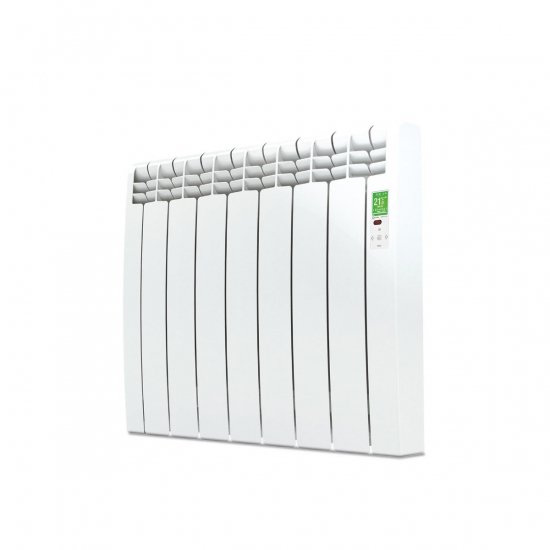 Rointe D Series radiators revolutionise home heating with their elegant aesthetic and uniquely innovative features. Enhanced Wi-Fi controls allow the D Series to be controlled from any compatible mobile device, providing total heat management from any location. The 770w output of this radiator can heat an area up to 9m² and is ideal for secondary areas of your home, such as guest rooms, studies and games rooms. This version of the Rointe D Series is available in a sleek white finish and comes in the following outputs: 330w, 550w, 770w, 990w, 1210w, 1430w, 1600w. We also offer the D Series in graphite for an understated but equally sophisticated finish. Each D Series radiator comes with a 3 Year Manufacturer’s Warranty on the electronic components and a generous 20 Year Warranty on the heater body.